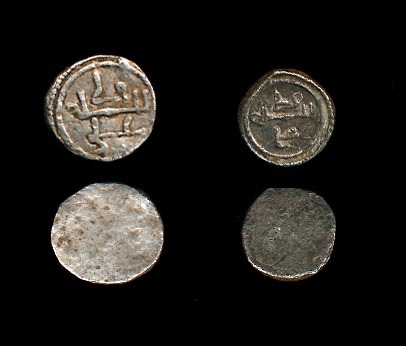 those of the central areas of Abu Bakr�s dinars. IV Jarique, pg 193, n�1, this coin. IV Jarique, pg 194, n�2, this coin. IV Jarique, pg 195, n�5. 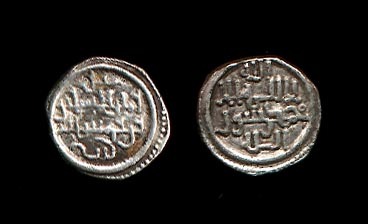 with Sa'd or Sa'id on IA. IV Jarique, pg 196, n�9, this coin. 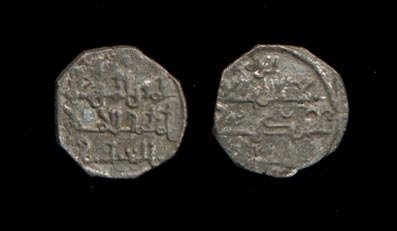 Numisma 237, pg 295, n�7, this coin. IV Jarique, pg 195, n�7. 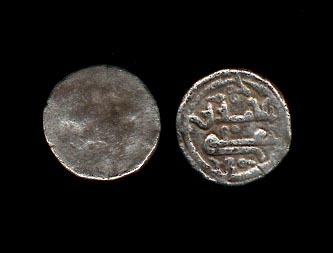 Numisma 237, pg 295, n�8, this coin. until nearly three decades later. Numisma 237, pg 296, n�10, this coin. Numisma 232, pg 297, n�17, second this coin. Numisma 237, pg 295, n�9, this coin. Vives 1675 Hazard 941 but as 1/4 Quirat. IV Jarique, pg 197, n� 10, this coin. 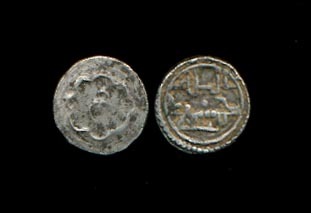 Vives only registers a half, the last two coins are within the weight of full a Quirat, as, arbitrarily, defined by Vives (pg.LXXI of his introduction). Numisma 237, pg 296, n� 12, this coin. Delgado L�minas, pg 106, 35d. Numisma 237, pg 296, n� 13, this coin. 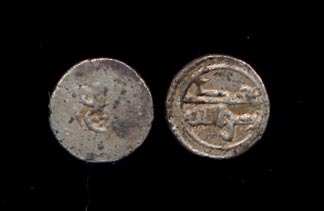 Numisma 237, pg 297, n� 14, this coin. Numisma 232, pg 297, n�15, this coin. 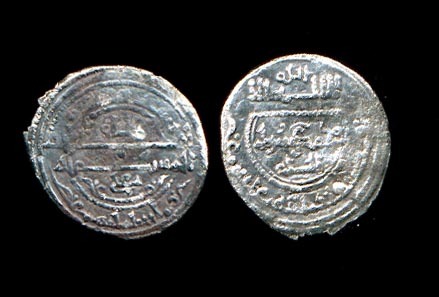 See above a dinar of the same date and mint. 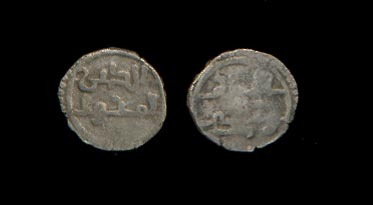 Numisma 233, pg 56, n�67, this coin. 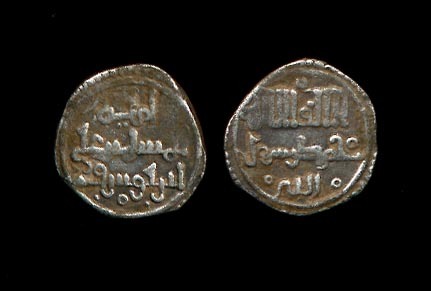 This tiny coin/ weight with both the name �Ali and Sir can obviously be dated between 522 and 533. 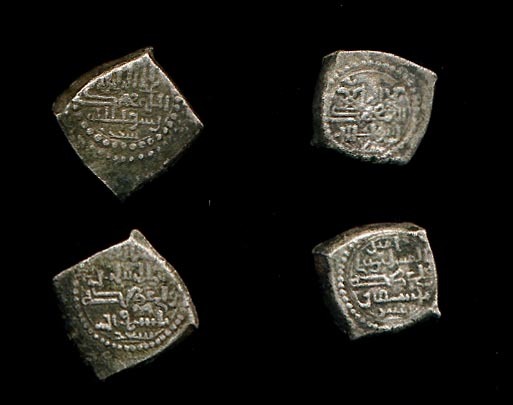 See two other habbas in the anonymous coins of this dynasty and one in the silver of Muhammad ibn Sa�d in the Almoravid Taifas. 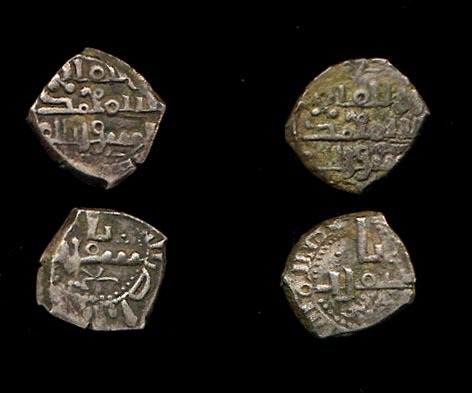 These few weights are about all the material metrological evidence we have for habbas of the Almoravid period. * Vives�s numismatic Quirat, the actual coin, was arbitrarily defined by him at a theoretical weight of 1gr and it is his definition we use numismaticaly. Nevertheless in classical Islamic metrology the Quirat is equal to three habbas ( closer to the 1/8 Quirat of Vives). Delgado L�minas, pg 105, n� 35a, this coin. Delgado L�minas, pg 106, n� 35e, this coin. 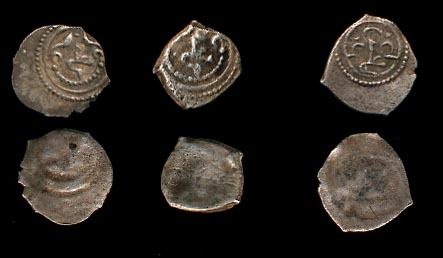 IV Jarique, pg 203, n� 28 & these coins. IV Jarique, pg 203, n�29, these coins. 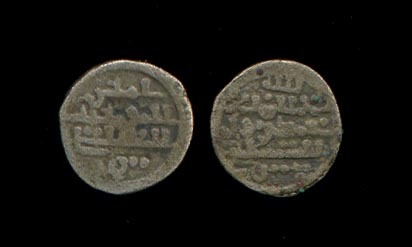 Copper fractional dirham with traces of silver coating on IIA. Delgado L�minas, pg 105, n� 33, this coin. Numisma 237, pg 298, n� 19, this coin. Delgado L�minas, pg 106, n� 35b this coin. Delgado L�minas, pg 106, n� 35c, this coin. IV Jarique, pg 204, n�3, 2nd variant. IV Jarique, pg 205, n�35, this coin. Delgado L�minas, pg 106, n�35f, this coin. Delgado L�minas, pg 106, n�35g, first this coin, second variant. IV Jarique, pg 206, n�37, this coin. 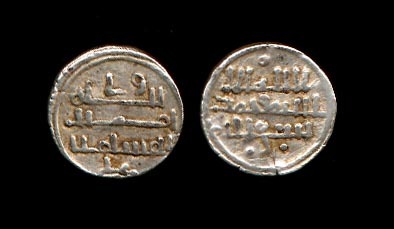 This coin/weight would give us an approximate of the said dirham of 1.84gr ( 0.23x 8). 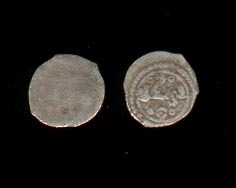 Numisma 233, pg 56, n�67. Numisma 237, pg299, n�21, this coin.